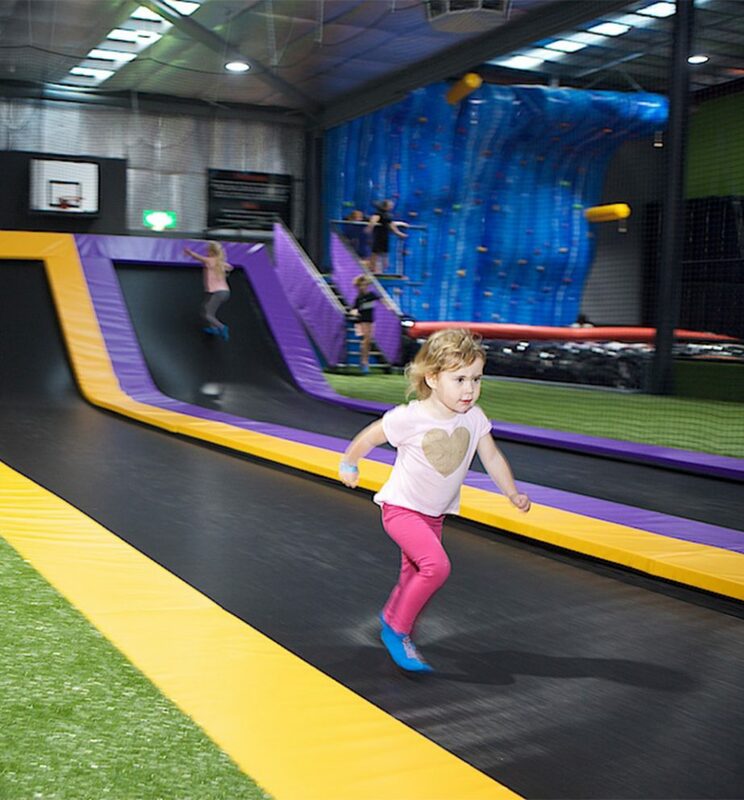 Jump High and land soft on our giant airbag, roll off and do it all again from a performance trampoline or a tumble run. Be Creative and have some fun but we have some rules to keep you safe. Never dive head first or belly flop into the airbag. Wait until the person in front is off the bag before you jump. Aim to land on your feet, your back or your bottom. Remove all loose items and empty your pockets. Roll off the bag as quickly as you can. 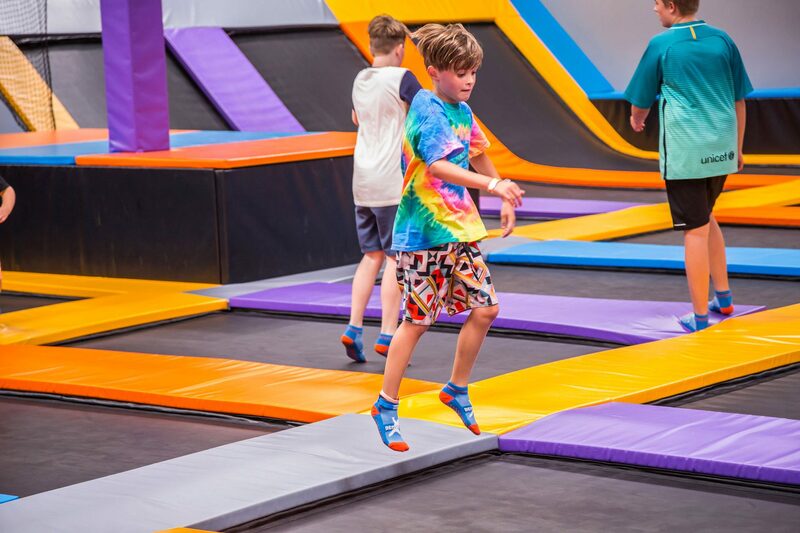 Featuring jump boxes and inclined trampolines to practice all your fancy tricks with your mates. This area is for jumpers of all ages and skill levels but remember to jump within your skill level and follow the rules so everyone has a safe and fun time. Two teams of eight battle it out to be the last one standing. Come and jump on a team, join in the fun, and battle with your family and friends. You can deflect a ball with the ball you are holding. The referee’s call is final, when you are out, you are out. Exit the court quickly once you are out. A live ball is one that has been thrown and not contacted anything. You are hit by a live ball. Your live ball is caught by an opposition player. You cross or enter the neutral zone (centre pads). 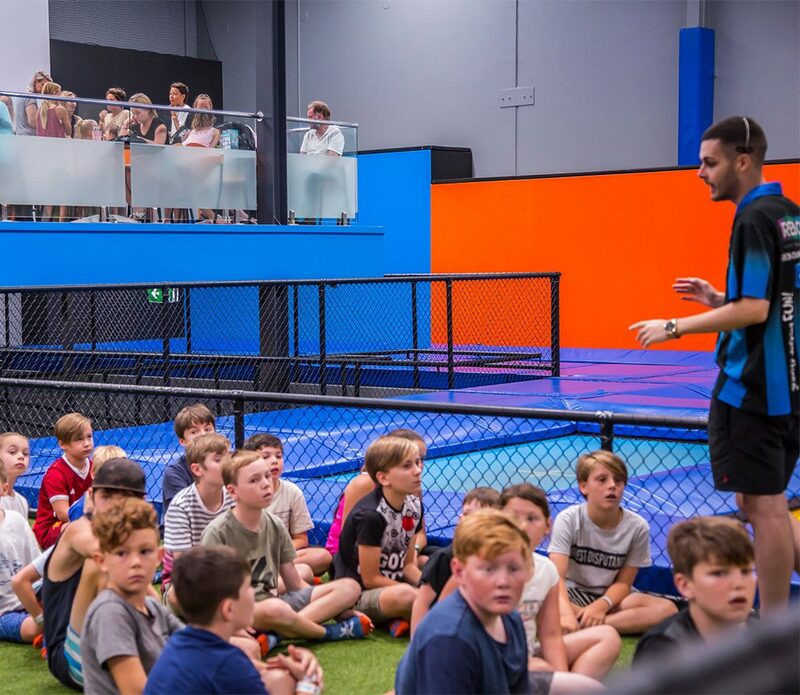 Here at Rebound Arena, we have six performance trampolines which offer superior bounce and a higher degree of difficulty and risk. Three are part of our Rebound runner’s performance wall and three are independent. Show off your best skills and try out your latest moves in this special zone. 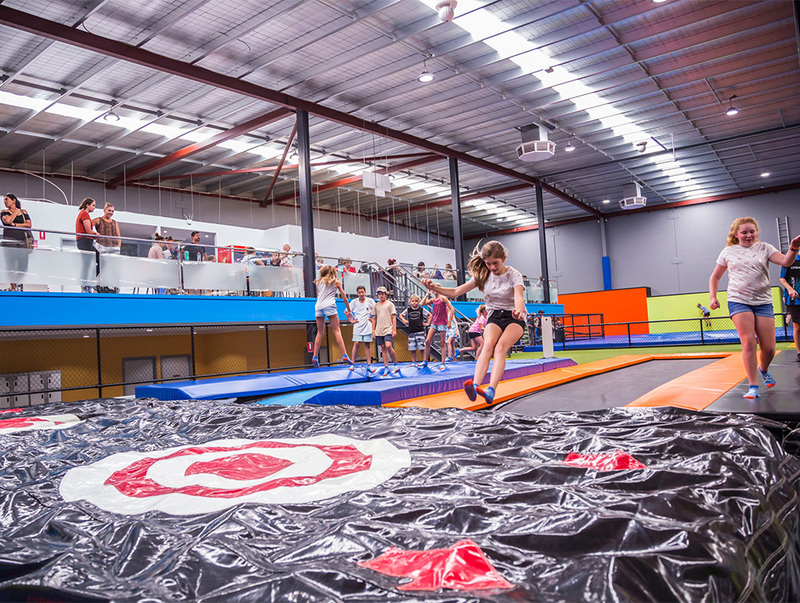 These awesome Olympic elite trampolines are proudly Australian made and are for the more experienced and confident jumper, so take care. Jumpers must be over 125cm tall to jump. Do not attempt any manoeuvres that are beyond your abilities. Strictly one person per trampoline. Do not jump or land on padding. Follow all instructions from floor staff. One for all the cheerleaders and gymnasts out there. 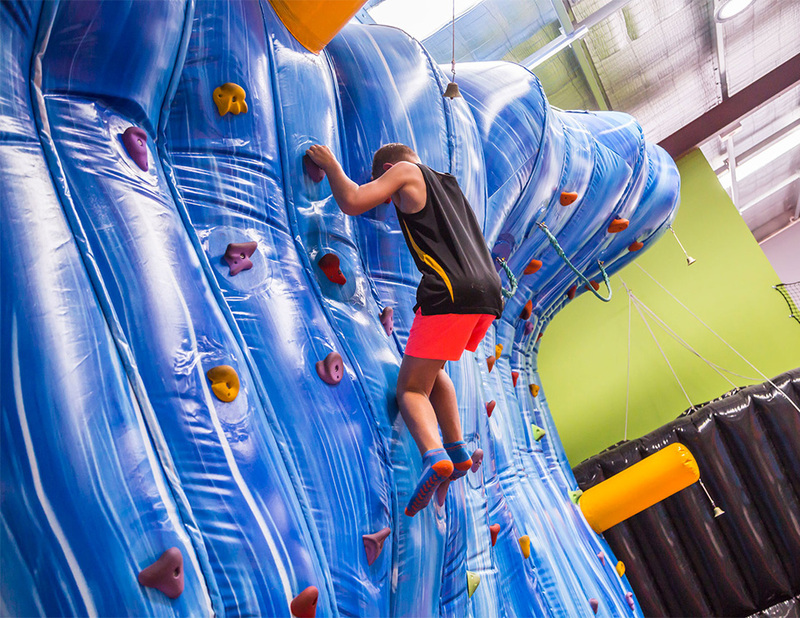 Rebound features 2 x 13mtr long tumble runs which run up to 45-degree inclines at each end. So you can practice and perfect new tricks and routines but as always, jump within your limits and watch out for others. 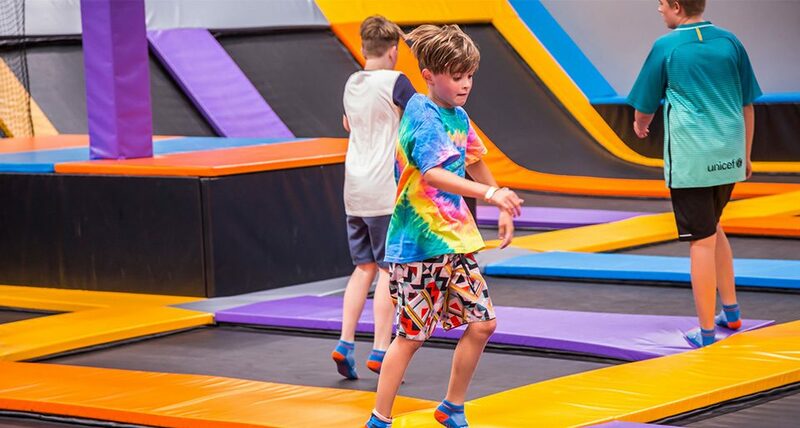 Try and master the wall, challenge yourself to see how high you can get using our Olympic elite trampolines to tackle the different milestones of the wall. This is an activity that is addictive and a must for those who love a challenge. Ask our awesome staff for a demo and some tips to get you started, it’s worth it! The wall is for advanced or experienced jumpers only. Jumpers must be over 125cm tall to participate. Only one jumper per trampoline at any time. 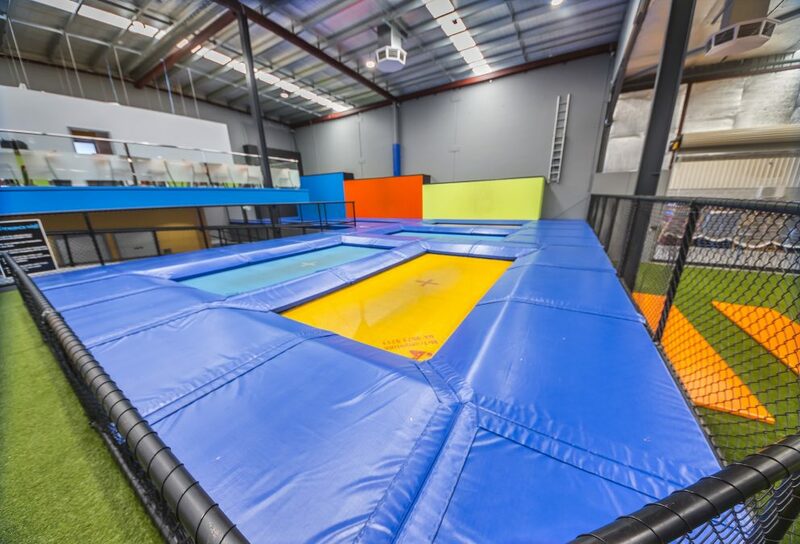 Ensure no one is on the trampoline below before dropping off the wall. 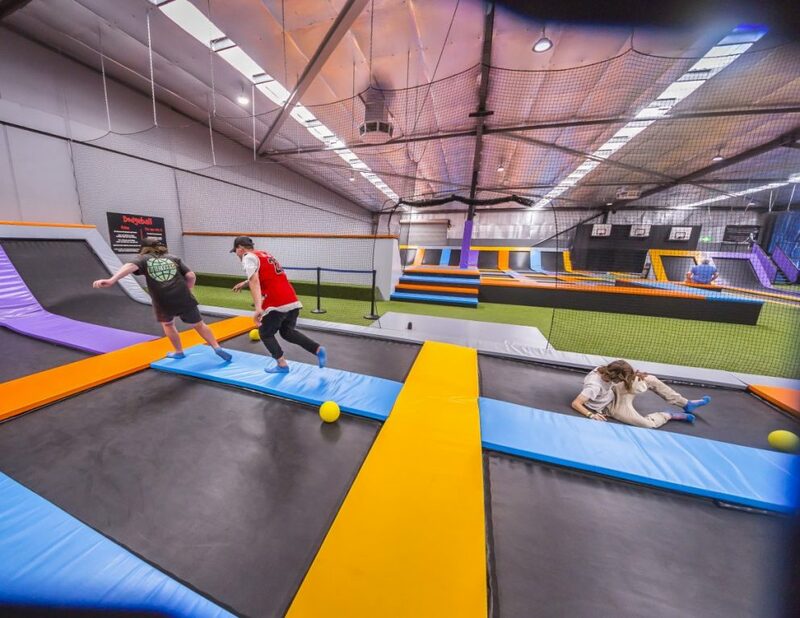 Only stand on top of the wall if you are actively using one of the wall trampolines. No climbing up the wall, if you can’t run up it, you need more practice. With different degrees of difficulty and graded routes, you can start on the easy stuff and work your way up to the harder routes. Challenge your friends to see who can get to the end, if you fall, it will always be a soft landing as you fall into our giant airbag. 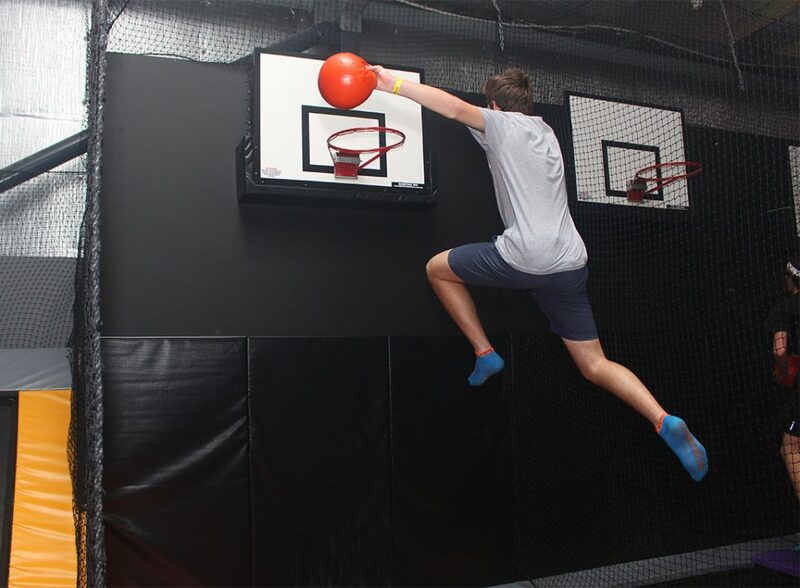 Try out all the smooth moves by your favourite players or make up your own on one of our 3 slam dunk lanes. With varying heights and a little trampoline help, everyone can slam dunk! Come and give it your best shot! No hanging off the hoops, backboard or support structures. Stay in your lane, do not cross over padding.